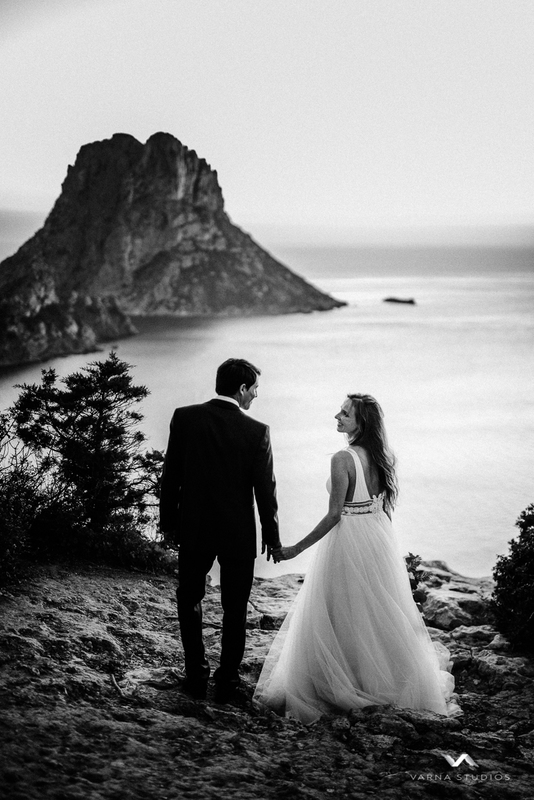 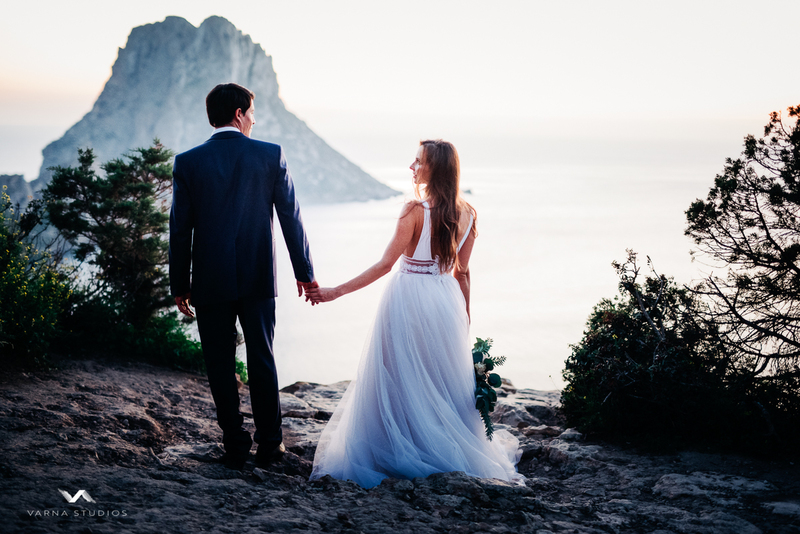 This romantic, elegant and tiny urban styled photoshoot was inspired by the mystical island of Es Vedra in Ibiza, in particular it’s sunsets! 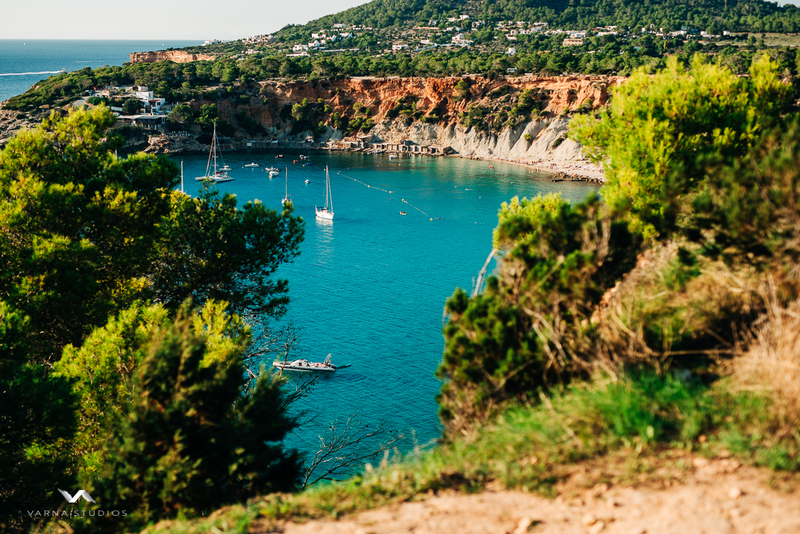 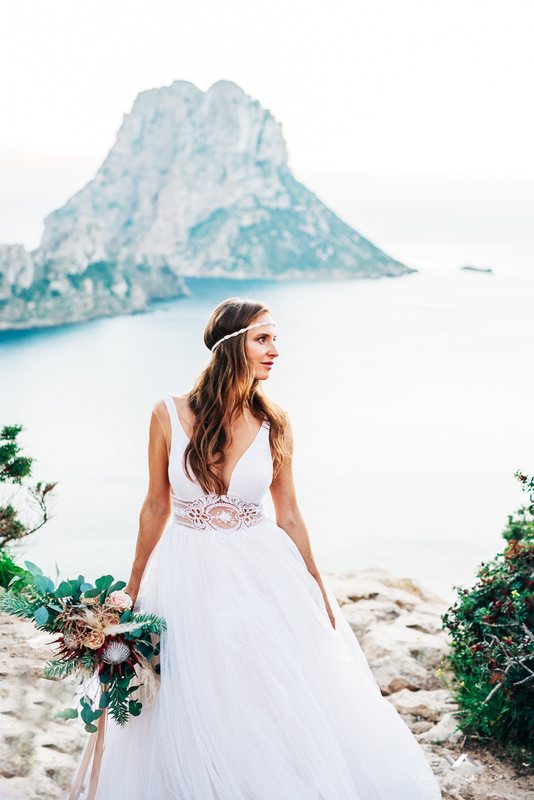 London based experienced wedding photographer and filmmaker Aurelijus Varna from Varna Studios teamed up with a talented wedding and events planner Gintare Dapkute from Events by G Ibiza to create this beautiful yet nostalgic for the ending summer photoshoot to showcase the love and intimacy between two people in a sunset dimming light where Es Vedra was a perfect nature backdrop! 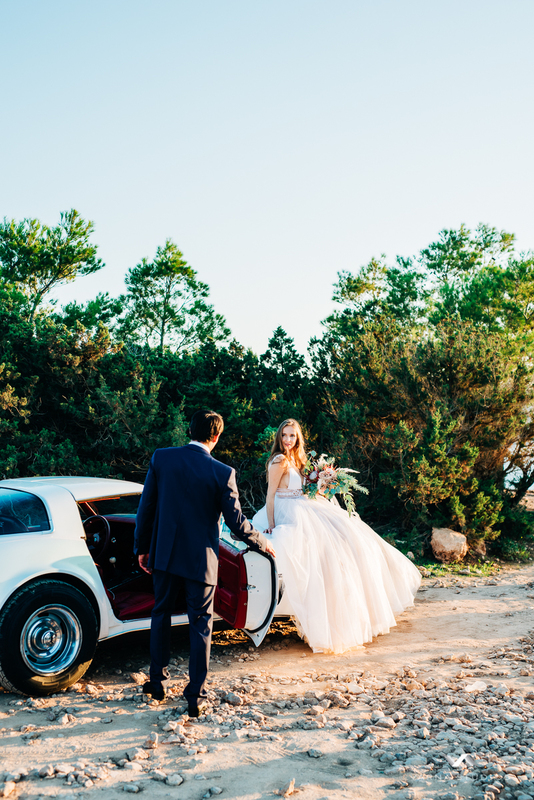 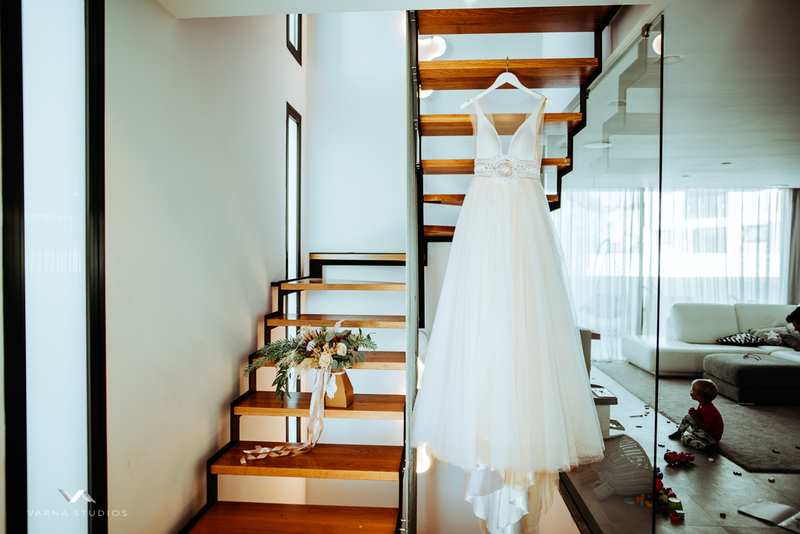 The female model wore luxurious and sophisticated bridal gown by an amazing designer Nurit Hen kindly provided to us by Mirror Mirror London bridal salon in London. 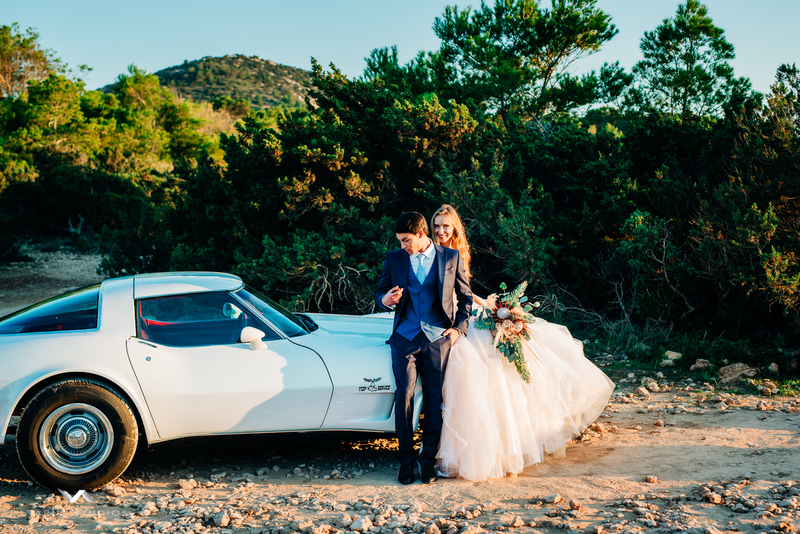 We went for a very natural look make up and soft waves by Hair By Louise Hancox for our female model Aiste while male Flavio Scarone model wore dark blue modern suit with a waistcoat by Omens provided to us by Omens Moda. 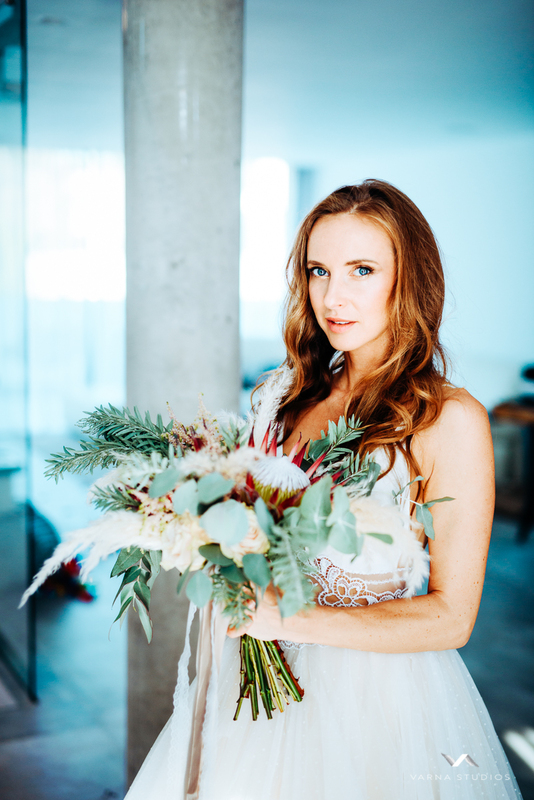 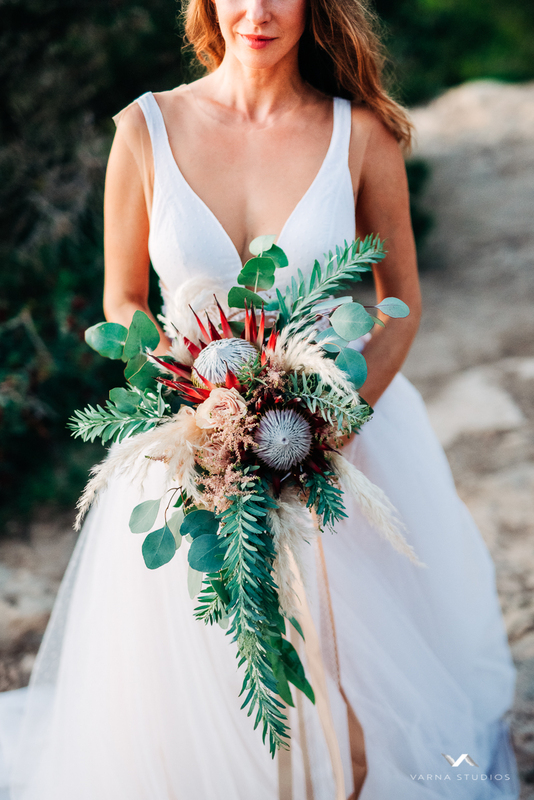 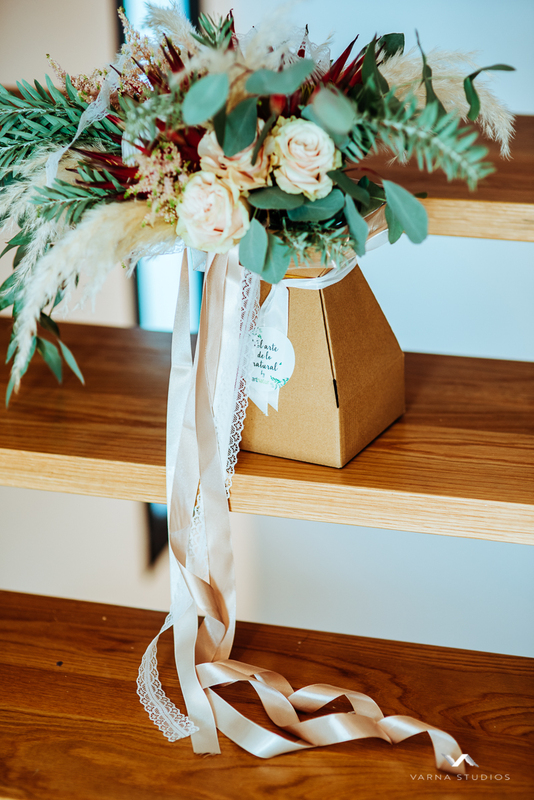 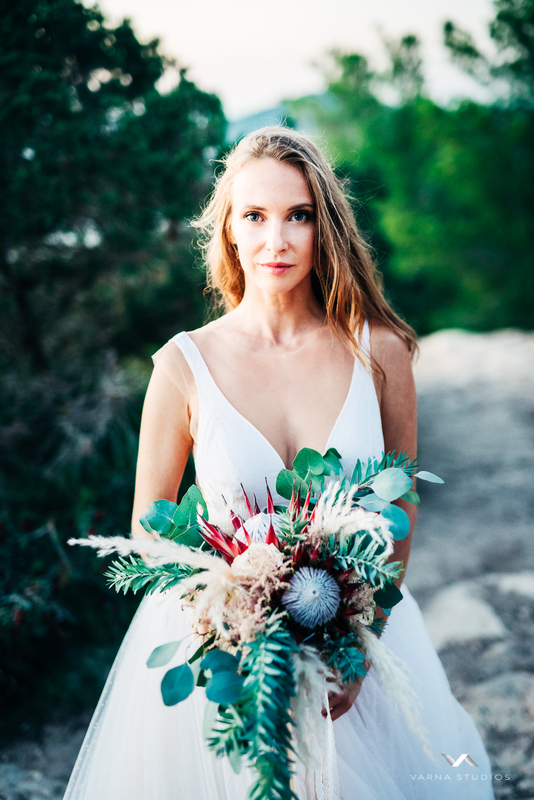 Bridal bouquet felt dramatic and wild designed by magical Artnatur Ibiza that blended well with surrounded rocks and lush greenery nature to match rosy and soft green colour palette we went for. 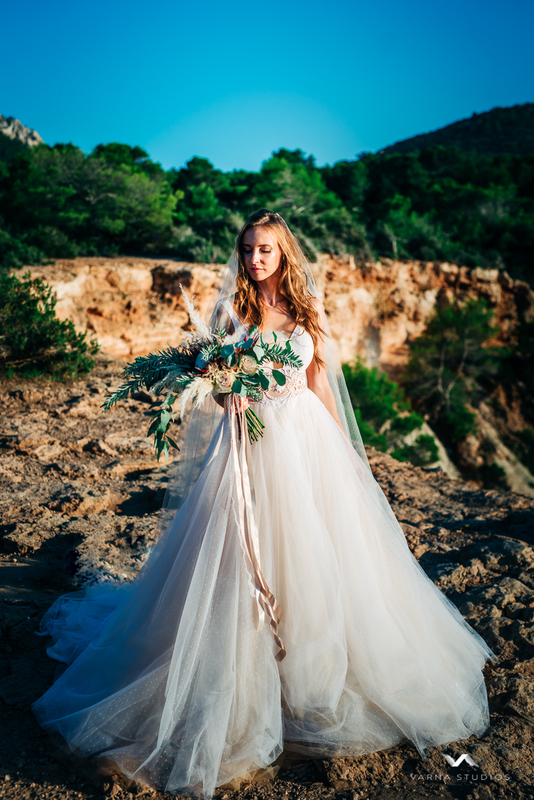 It appeared a very dreamy photoshoot and the team were incredible to make the photoshoot happen!